The copyrights to all materials, content and lay-out of this Site (including text, user and visual interfaces, images, look and feel, design, sound, etc. and any underlying software and computer codes) are proprietary to Beam Suntory, its parents, affiliates, subsidiaries, or third party licensors. You may not copy, reproduce, post on any other website, republish, upload, encode, modify, translate, publicly perform or display, commercially exploit, distribute or transmit any portion of this Site or make any derivative works from this Site in any way without Beam Suntory’s express prior written consent. Any name, logo, trademark, service mark, patent, design, copyright or other intellectual property appearing on this Site is owned or licensed by Beam Suntory or its parents, affiliates or subsidiaries and may not be used by you without the prior written consent of Beam Suntory or the appropriate owner. Your use of this Site does not grant you any right, title, interest or license to any such intellectual property appearing on the Site. Beam Suntory this Site for your personal entertainment, information and education. You should feel free to browse the Site and may download material displayed on the Site for non-commercial, lawful, personal use only provided all copyright and other proprietary notices contained on the materials are retained and such information is not modified, copied or posted on any networked computer or broadcast in any media. All other copying (whether in electronic, hard copy or other format) is prohibited and may breach intellectual property laws and other laws world-wide. All commercial use of all or part of this Site is prohibited except with Beam Suntory 's express prior written consent. All rights not expressly granted here are reserved to Beam Suntory. You may not use any computer program tools including, but not limited to, web spiders, bots, indexers, robots, crawlers, harvesters, or any other automatic device, program, algorithm or methodology, or any similar or equivalent manual process (''Tools'') to access, acquire, copy or monitor any portion of the Site or any content, or in any way reproduce or circumvent the navigational structure or presentation of the Site or any content, to obtain or attempt to obtain materials, documents or information through any means not purposely made available through the Site. Tools that use the Site shall be considered agents of the individual(s) who control or author them. BEAM SUNTORY DOES NOT PROMISE THAT THIS SITE OR ANY CONTENT, SERVICE OR FEATURE OF THE SITE WILL BE ERROR-FREE OR UNINTERRUPTED, OR THAT ANY DEFECTS WILL BE CORRECTED, OR THAT YOUR USE OF THE SITE WILL PROVIDE SPECIFIC RESULTS. THE SITE AND ITS CONTENT ARE PROVIDED ''AS IS'' AND ''AS AVAILABLE'' BASIS WITHOUT REPRESENTATIONS OR WARRANTIES OF ANY KIND, EITHER EXPRESSED OR IMPLIED, INCLUDING BUT NOT LIMITED TO THE IMPLIED WARRANTIES OF MERCHANTABILITY, FITNESS FOR A PARTICULAR PURPOSES, NON-INFRINGEMENT OR ACCURACY. software, data or other property on account of your access to, use of, or browsing in the Site or your downloading of any materials, text, images, video or audio from the Site or any linked sites. BEAM DOES NOT PROMISE THAT THIS SITE OR ANY CONTENT, SERVICE OR FEATURE OF THE SITE WILL BE ERROR-FREE OR UNINTERRUPTED, OR THAT ANY DEFECTS WILL BE CORRECTED, OR THAT YOUR USE OF THE SITE WILL PROVIDE SPECIFIC RESULTS. THE SITE AND ITS CONTENT ARE PROVIDED ''AS IS'' AND ''AS AVAILABLE'' BASIS WITHOUT REPRESENTATIONS OR WARRANTIES OF ANY KIND, EITHER EXPRESSED OR IMPLIED, INCLUDING BUT NOT LIMITED TO THE IMPLIED WARRANTIES OF MERCHANTABILITY, FITNESS FOR A PARTICULAR PURPOSES, NON-INFRINGEMENT OR ACCURACY. Beam also assumes no responsibility, and shall not be liable for any such damages caused by viruses or other forms of contamination or destructive features that may effect your computer equipment, software, data or other property on account of your access to, use of, or browsing in the Site or your downloading of any materials, text, images, video or audio from the Site or any linked sites. You are prohibited from posting or transmitting any unlawful, threatening, libelous, defamatory, obscene, scandalous, inflammatory, pornographic, or profane material or any material that could constitute or encourage conduct that would be considered a criminal offense, give rise to civil liability, or otherwise violate the law. Beam will fully cooperate, including but not limited to, maintaining and disclosing any transmittals or communications that you have had with the Site, disclosing your identity or helping to identify you, with any applicable law or regulation, law enforcement authorities, court order or governmental authority. Any communication or material you transmit to the Site by email or otherwise, including any data, questions, comments, suggestions, or the like is, and will be treated as, nonconfidential and non- proprietary. Beam Suntory cannot prevent the ''harvesting'' of information from this Site, and you may be contacted by Beam Suntory or unrelated third parties, by email or otherwise, within or outside of this Site. Anything you transmit may be edited by or on behalf of Beam Suntory, may or may not be posted to this Site at the sole discretion of Beam Suntory and may be used by Beam Suntory or its affiliates for any purpose, including, but not limited to, reproduction, disclosure, transmission, publication, broadcast and posting. Furthermore, Beam Suntory is free to use any ideas, concepts, know-how, or techniques contained in any communication you send to the Site for any purpose whatsoever including, but not limited to, developing, manufacturing and marketing products using such information. If you transmit any ideas, concepts, materials or other communications to this Site, you accept that it will not be treated as confidential and may be used by Beam without compensation in any manner whatsoever, including without limitation reproduction, transmission, publication, marketing, product development, etc. 4. Your name, physical address and telephone number, and a statement that you consent to the jurisdiction of Federal District Court for the judicial district in which your physical address is located, or if your physical address is outside of the United States, for any judicial district in which Beam may be found, and that you will accept service of process from the person who provided notification of allegedly infringing material or an agent of such person. You acknowledge and agree that you are responsible for maintaining the confidentiality of your user name and password. You shall be responsible for all uses of your membership, whether or not authorized by you. You agree to immediately notify Beam of any unauthorized use of your user name or password or any other breach of security. This Site shall be governed by, and your browsing in and use of the Site shall be deemed acceptance of and consent to, the laws of the State of Illinois, United States of America, without regard to principles of conflict of laws. Notwithstanding the foregoing, this Site may be viewed internationally and may contain references to products or services not available in all countries. References to a particular product or services do not imply that they are appropriate or available to all persons of legal purchasing age in all locations, or that Beam intends to make such products or services available in such countries. Any offer for any product, feature, service or Application made on this Site is void where prohibited. Your information will be transferred to Beam Suntory, located in the State of Illinois, United States, which location may be outside of your own country, and by providing us with your information, you are consenting to such transfer. Although we will use all reasonable efforts to safeguard the confidentiality of any personal information collected, we will not be liable for disclosure of personal information obtained due to errors in transmission or the unauthorized acts of third parties. 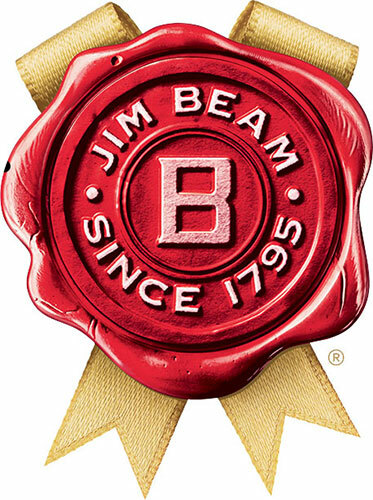 Jim Beam® Kentucky Straight Bourbon Whiskey, 40% and 43% Alc./Vol. and Red Stag by Jim Beam® Kentucky Straight Bourbon Whiskey Infused With Natural Flavors, 40% Alc./Vol. ©2011 James B. Beam Distilling Co., Clermont, KY.
© Beam Suntory, Inc. All rights reserved.